All based in the heart of the CBD you are never too far from all the action of bars, clubs, activities and harbour. Take a look at our options below and give us a call today to add accommodation to your stag do package! At Wicked Bucks, we offer a range of activities and accommodation options to suit everyone’s tastes and budgets. 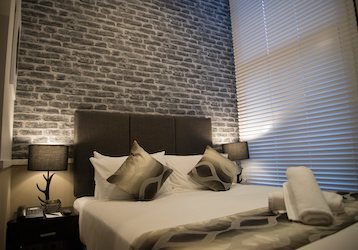 Enjoy the comfort of home in either a modern or traditional setting with this ideal leisure and traveller hotel. Ideally located in the heart of Auckland’s entertainment district it has a unique character and charm which gets embraced in its 1900’s style heightened with a contemporary décor. With 1 & 2-bedroom apartments, this hotel also features a indoor pool, undercover parking, onsite bar and restaurant, as well as free Wi-Fi throughout the hotel. Making your stay as comfortable as possible with helpful and friendly staff in a 24hr reception. 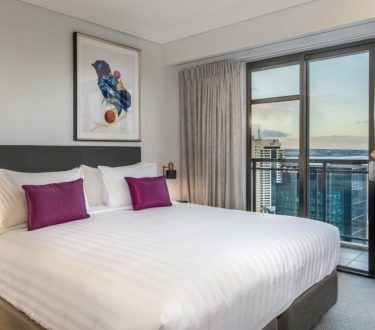 Located within walking distance of the harbour, shops, restaurants and bars this intimate 4.5-star apartment style hotel hosts 1, 2 and 3-bedroom apartments for your Auckland stay. 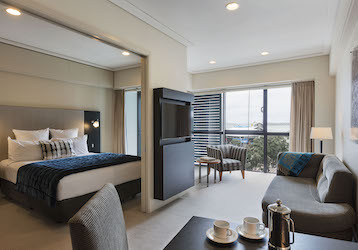 Enjoy comfort with a contemporary style in one of Auckland best hotels with amazing city views from each room. The hotel features a swimming pool, jacuzzi, 24hr reception, fitness centre, individual balconies and Wi-Fi. Your party crew are sure to enjoy this luxury apartment hotel during your Auckland Stags Do! Breath in the sea breeze as you look out onto the harbour at Auckland’s tallest residential building. Based inside a century-old-courthouse it’s an impressive hotel from the moment you walk into the lobby. This home away from home features 1 and 2-bedroom suites with fully equipped kitchens, living rooms and private balconies with views of either the park, city or harbour. Your stags crew are sure to enjoy this towering hotel with culture, entertainment and the great outdoors on its doorstep!